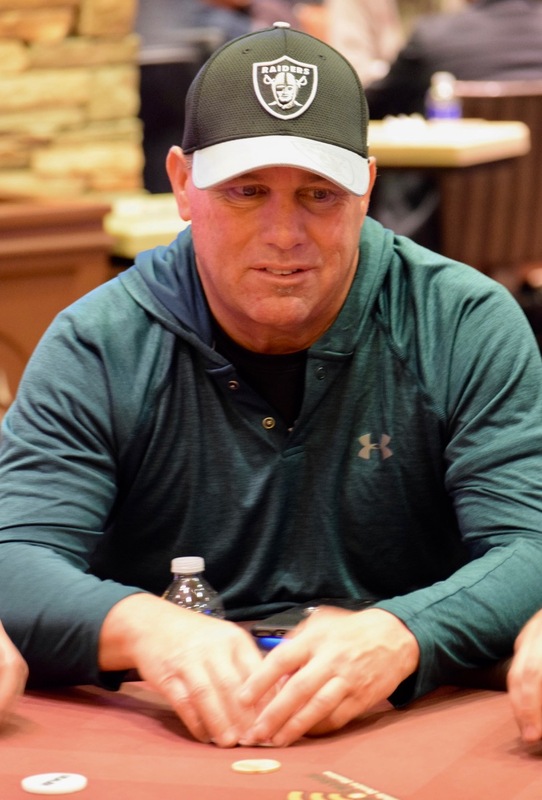 Mark Ordaz is all in UTG for his last 5,000 chips and draws a call from Billy Casey. Curtis Longman makes it 60,000 all-in from the cutoff, the blinds get out of the way and Casey looks as though he doesn't want to risk his just-about-equal stack. Casey folds pocket Jacks face up. Ordaz shows Nine_Ten and Longman shows pocket Queens - Billy pats himself on the back for a good fold. The flop .. two Tens out there, blank, blank goes the turn and river and Ordaz triples up to get almost-healthy, kind'a.